Most widely known for children’s picture books, the American writer, poet, and cartoonist Theodor Seuss Geisel was Born March 2, 1904 He had used the pen name Dr. Theophrastus Seuss in college and later used Theo LeSieg, and once Rosetta Stone, as well as Dr. Seuss. Geisel published 46 children’s books, often characterized by imaginative characters, rhyme, and frequent use of anapestic meter. His most celebrated books include the bestselling Green Eggs and Ham, The Cat in the Hat, The Lorax, One Fish Two Fish Red Fish Blue Fish, Horton Hatches the Egg, Horton Hears a Who!, and How the Grinch Stole Christmas!. Numerous adaptations of his work have been created, including 11 television specials, four feature films, a Broadway musical and four television series. He won theLewis Carroll Shelf Award in 1958 for Horton Hatches the Egg and again in 1961 for And to Think That I Saw It on Mulberry Street. Geisel also worked as an illustrator for advertising campaigns, most notably for Flit and Standard Oil, and as a political cartoonist for PM, a New York City newspaper. During World War II, he worked in an animation department of the United States Army, where he wrote Design for Death, a film that later won the 1947Academy Award for Documentary Feature.He was a perfectionist in his work and he would sometimes spend up to a year on a book. 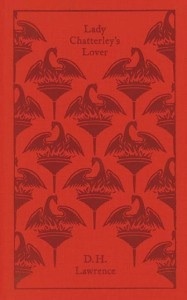 It was not uncommon for him to throw out 95% of his material until he settled on a theme for his book. For a writer he was unusual in that he preferred to only be paid after he finished his work rather than in advance.Geisel’s birthday, March 2, has been adopted as the annual date for National Read Across America Day, an initiative on reading created by the National Education Association. Geisel sadly passed away September 24 1991 but his books and illustrations continue to be popular. DOCTOR SEUSS YOUTUBE CHANNEL http://m.youtube.com/channel/HCUIWdKG0mD6I. The late, great American rock musician, songwriter, and photographer Lou” Reed was born in Brooklyn, New York 2 March 1942. 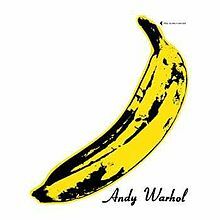 He is best remembered as the vocalis, guitarist and songwriter for the band Velvet Underground and a successful solo artist whose career spanned several decades. Lou Reed developed an ear for rhythm and blues, forming several bands while still in high school after teaching himself to play guitar simply by listening to the radio.Reed introduced avant garde rock to mainstream music and has been credited as having a significant impact on American culture. John Francis Bongiovi, Jr. the Lead singer and namesake of the rock band Bon Jovi,was born 2nd February 1962. Originally from Sayreville, New Jersey, Bon Jovi Formed in 1983 and consist of Jon Bon Jovi (John Francis Bongiovi, Jr.), guitarist Richie Sambora, keyboardist David Bryan and drummer Tico Torres. The band’s lineup has remained mostly static during their history, the only exception being the departure of bass player Alec John Such in 1994, who was unofficially replaced by Hugh McDonald. The band achieved widespread recognition with their third album, Slippery When Wet, released in 1986. Their fourth album New Jersey, which was released in 1988, became just as successful as its predecessor. Bon Jovi went onto achieve thirteen U.S. Top 40 hits between 1986-1995, including four number-ones including You Give love a Bad Name“”, “Livin on a Prayer“, “Bad Medicine“, and “I’ll Be There for You”. Other hits include Keep the Faith ”Wanted Dead or Alive” ”Bed of Roses” Have a Nice Day and “Always”. Dubbed The White Queen of Soul, British pop singer Dusty Springfield sadly passed away on March 2nd 1999. Born 16th April in 1939. Her career extended from the late 1950s to the 1990s. With her distinctive sensual sound, she was an important white soul singer, and at her peak was one of the most successful British female performers, with 18 singles in the Billboard Hot 100 from 1964 to 1970. She is a member of the Rock and Roll Hall of Fame and the U.K. Music Hall of Fame. International polls have named Springfield among the best female rock artists of all time. Born in West London to an Irish Catholic family that enjoyed music, Springfield learned to sing at home. She joined her first professional group, The Lana Sisters, in 1958, then formed the pop-folk vocal trio The Springfields in 1960 with her brother Dion. Her solo career began in 1963 with the upbeat pop hit, “I Only Want to Be with You”. Among the hits that followed were “Wishin’ and Hopin’”, “I Just Don’t Know What to Do with Myself”, “You Don’t Have to Say You Love Me, and “Son of a Preacher Man”. A fan of American pop music, she was the first public figure to bring little-known soul singers to a wider British audience, when she created and hosted the first British performances of the top-selling Motown artists in 1965. By 1966, she was the best-selling female singer in the world, and topped a number of popularity polls, including Melody Maker’s Best International Vocalist. She was the first British singer to top the New Musical Express readers’ poll for Female Singer. Her image, supported by a peroxide blonde beehive hairstyle, evening gowns, and heavy make-up, made her an icon of the Swinging Sixties. The marked changes in pop music in the mid-1960s left many female pop singers out of fashion. To boost her credibility as a soul artist, Springfield went to Memphis, Tennessee, to record an album of pop and soul music with the Atlantic Records main production team. Released in 1969, Dusty in Memphis has been ranked among the greatest albums of all time by Rolling Stone and VH1 artists, New Musical Express readers, and the Channel 4 viewers polls. The album was also awarded a spot in the Grammy Hall of Fame. After this, however, Springfield experienced a career slump for eighteen years. She returned to the Top 20 of the British and American charts in collaboration with the Pet Shop Boys on the songs “What Have I Done to Deserve This?”, “Nothing Has Been Proved”, and “In Private”. Interest in Springfield’s early output was revived in 1994 due to the inclusion of “Son of a Preacher Man” on the soundtrack of the movie Pulp Fiction.r she has left a wonderful legacy in the form of some great songs. Chris Martin, English musician with British alternative rock band Coldplay was born 2nd March 1977. Coldplay were formed in 1996 by lead vocalist Chris Martin and lead guitarist Jonny Buckland at University College London. After they formed under the name Pectoralz, Guy Berryman joined the group as a bassist and they changed their name to Starfish. Will Champion joined as a drummer, backing vocalist, and multi-instrumentalist, completing the line-up. Manager Phil Harvey is often considered an unofficial fifth member. The band renamed themselves “Coldplay” in 1998, before recording and releasing three EPs; Safety in 1998, Brothers & Sisters as a single in 1999 and The Blue Room in the same year. The latter was their first release on a major label, after signing to Parlophone. They achieved worldwide fame with the release of the single “Yellow” in 2000, followed by their debut album released in the same year, PARACHUTES, which was nominated for the Mercury Prize. The band’s second album, A RUSH OF BLOOD TO THE HEAD (2002), was released to critical acclaim and won multiple awards, including NME’s Album of the Year. Their next release, X&Y, the best-selling album worldwide in 2005, was met with mostly positive reviews upon its release, though some critics felt that it was inferior to its predecessor. 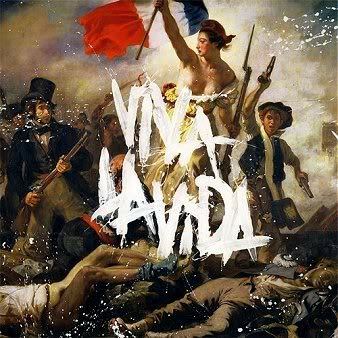 The band’s fourth studio album, Viva la Vida or Death and All His Friends (2008), was produced by Brian Eno and released again to largely positive reviews, earning several Grammy nominations and wins at the 51st Grammy Awards. In 2011, they released their fifth studio album, MYLO XYLOTO, which became the UK’s best-selling rock album of 2011 and their sixth album Ghost Stories was released in 2014. The band has won a number of music awards throughout their career, including eight Brit Awards—winning Best British Group three times, five MTV Video Music Awards, and seven Grammy Awards from twenty five nominations. Coldplay have sold over 60 million records worldwide. In December 2009, Rolling Stone readers voted the group the fourth-best artist of the 2000s. Coldplay have been an active supporter of various social and political causes, such as Oxfam’s Make Trade Fair campaign and Amnesty International. The group have also performed at various charity projects such as Band Aid 20, Live 8, Sound Relief, Hope for Haiti Now: A Global Benefit for Earthquake Relief, The Secret Policeman’s Ball, and the Teenage Cancer Trust. Mark Evans, Australian bassist and ex bass player for AC/DC was born 2nd March 1956. 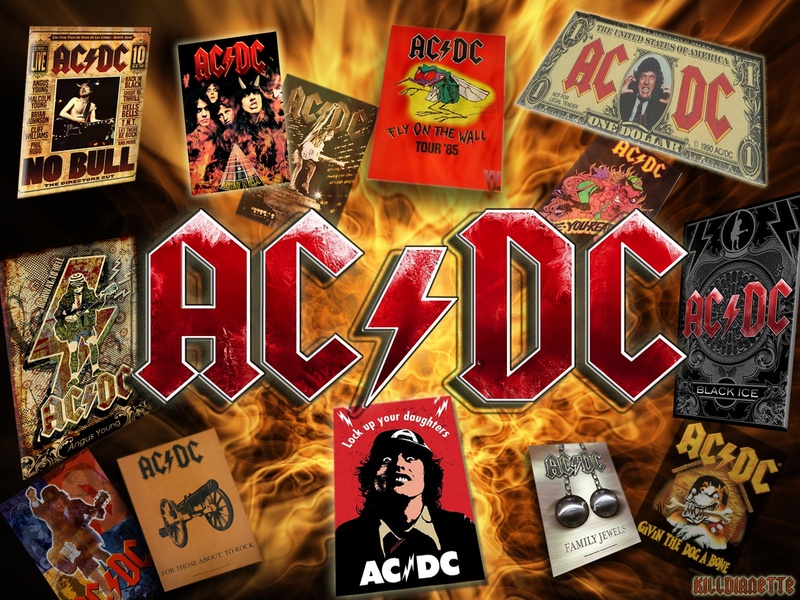 AC/DC were Formed in 1973 by Malcolm and his brother Angus Young, who have remained the sole constant members. The band are commonly classified as hard rock, and are considered pioneers of heavy metal and are sometimes classified as such, though they themselves have always classified their music as simply “rock and roll”. To date they are one of the highest grossing bands of all time. AC/DC underwent several line-up changes before releasing their first album, High Voltage, on 17 February 1975. Bass player Cliff Williams replaced Mark Evans in 1977 for the album Powerage. Within months of recording the album Highway to Hell, lead singer and co-songwriter Bon Scott died on 19 February 1980, after a night of heavy alcohol consumption. The group briefly considered disbanding, but Scott’s parents urged them to continue and hire a new vocalist. Ex-Geordie singer Brian Johnson was auditioned and selected to replace Scott. Later that year, the band released their highest selling album, and ultimately the third highest-selling album by any artist, Back in Black. The band’s next album, For Those About to Rock We Salute You, was their first album to reach number one in the United States. AC/DC declined in popularity soon after drummer Phil Rudd was fired in 1983 and was replaced by future Dio drummer Simon Wright, though the band resurged in the early 1990s with the release of The Razors Edge. Phil Rudd returned in 1994 (after Chris Slade, who was with the band from 1989–1994, was asked to leave in favour of him) and contributed to the band’s 1995 album Ballbreaker. Since then, the band’s line-up has remained the same. Stiff Upper Lip was released in 2000 and was well received by critics, and the band’s latest studio album, Black Ice, was released on 20 October 2008. It was their biggest hit on the charts since For Those About to Rock, reaching No.1 on all the charts eventually.